As part of UNESCO World Heritage List, Vigan, Philippines is one of the country’s oldest cities. Mainly because of its Spanish colonial history and rich Hispanic towns. Up to this day and age, the heritage in Vigan has remained well-preserved in the most intricate way. A visit to Vigan will make you feel nostalgic and euphoric at the same time. If you happen to find yourself wondering around the city of Vigan, here are some of the things to do in Vigan that you might want to try to do. Calesas and cobblestones are two things which make Vigan’s Calle Crisologo uniquely Filipino. The historical and cultural sentiments will come to life right away. Particularly when night-time comes as empanadas and other special delicacies of Vigan are available for those who want to get a first hand experience of Philippines’ Spanish era. This is definitely one of the main things to do in Vigan. 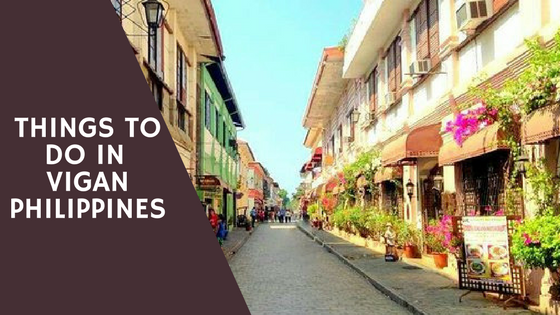 Also called Mena Crisologo street, the mestizo district is distinctly lined with houses of Spanish style, as well as souvenir shops which have been an inspiration for many Filipino writers through the years. Until now, the windows made from capiz shells and the red-tiled roofs have been carefully preserved, something that you can never find anywhere else. You will feel like you have been taken back to the 18th century when you take a stroll along the lanes lit with lamps. This sentimental street’s name was after one of Ilocos’ most respectable sons, Mena Pecson Crisologo. He was a very prominent writer in his time, and was famous Don Quixote’s Ilocano version. 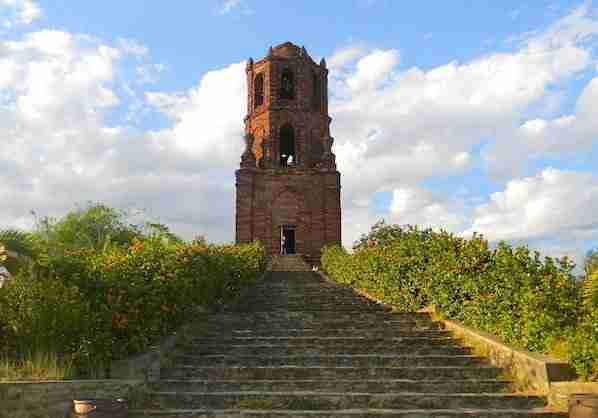 Bantay Belfry is the high tower perched on a hill 10 minutes away from Vigan. Established in 1591, the belfry is the perfect spot to get a glimpse of the panoramic view of the city from a higher point, something that is both an empowering and uplifting experience. But, be warned because it is not an easy feat to reach the top, especially for people who have problems with height. Every step you take will make you reflective and the moment you get to the top, you will surely feel the rush of empowerment coursing through your veins. Symbolically, getting a view of life from this point will give you a different kind of perspective. The belfry is also called the people’s tower as it alerts town folks of any coming danger. There are several churches near it, including the baroque St. Paul Cathedral and the Saint Augustine Church with its almost gothic exterior. It is a very fascinating experience to cruise Vigan’s famous Mestizo River. The cruise lasts for around 45 minutes where you will learn the city’s story, starting from its discovery, to how the Spaniards took over and how it is one of today’s most visited cities in the country. This short excursion will promise you some time of refreshment as you learn more about life through the eyes of Ilocanos. What makes Mestizo River even more beautiful is the yearly candle floating ceremony held during Raniag Twilight festival. It is particularly done in Celedonia Garden at Barangay Beddeng Laud. Spanish people made the country of the Philippines to have faith in Catholicism. To know why Filipinos have strong faith, visiting churches and museums are worth the experience and time for the reason that these are the living testaments of how Filipinos came to be. Some of the best museums are Crisologo Museum, Father Burgos Museum, and Leona Florentino House. You’ll absolutely miss half of your Vigan adventure if you won’t ride a Kalesa. 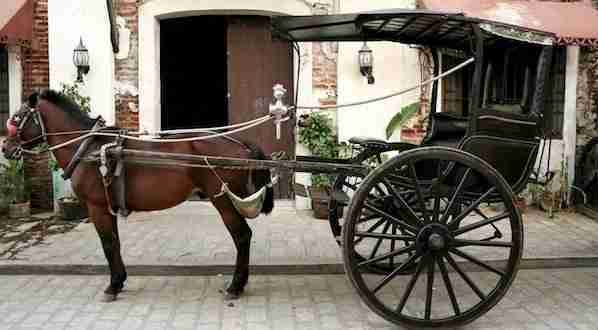 It’s a horse-drawn carriage that was used during Spanish period in the country. Until now, it can still be seen in the city of Vigan. There’s a Kalesa parking or bay area right in capitol’s front area. At only 150 pesos for every hour, you can tour the city in a Kalesa. The coach drivers will bring you to different tourist destinations. 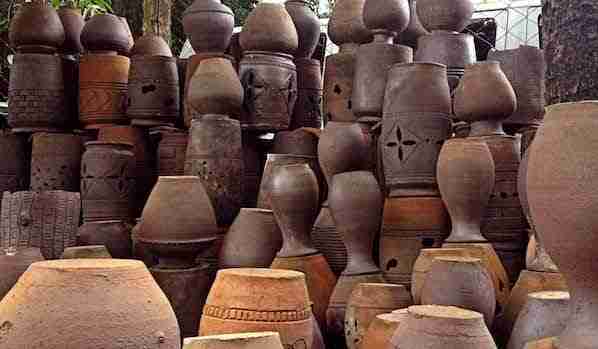 The jars made from Vigan are known as Burnay. Through visiting Pagburnayan, the place where jars were made, makes your trip to Vigan more interesting. Making this one of the more interesting things to do in Vigan. It was in Spanish pre-colonial period when Pagburnayan started making jars and this was the time when the Chinese immigrants came in the city. Because of the quality of the Burnays, these were also being exported. It isn’t known to a lot of people, yet the Plaza Salcedo in Vigan takes pride of its dancing fountain each night, which starts at 7:30 and often lasts for about thirty minutes. You will be amazed and surprised how extravagant the dancing fountain of the Plaza Salcedo. The traditional woven product in the region of Ilocos is called abel. These are handcrafted beautifully with colorful cloth that’s made of cotton and they’re known as the sagut. The industry of abel started during earl Spanish colonization and still practiced these days. Rowilda’s loomweaving is the one of the famous abel weaving factories in the city of Vigan. Another popular things to do in Vigan is enjoy the cities rich culture that has always some vibrant festivals. A weeklong celebration that’s usually held during the month of May is Viva Vigan Festival of Arts, which is celebrated for promoting Vigan’s value as the center of history. Also, it aims to strengthen advocacy to protect and preserve the city’s cultural identity. Another festivity is the city fiesta of Vigan, which is held yearly on the 25th of January. This commemorates St. Paul’s conversion. Tres de Mayo Celebration is another religious celebration wherein people remember St. Helena and Prince Constantine in their journey to look for the cross Jesus died on. Typically, a drama is often performed to relive the plight of Helena. Vigan has just enough guest houses, hostels and hotels. 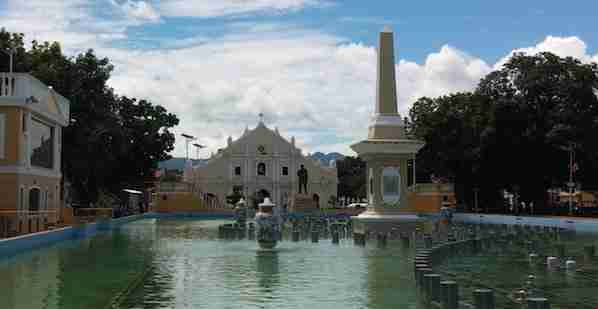 Here are a few places to check out if you are planning to visit Vigan. Escolta’s Homey Lodge is set in Vigan, 100 m from Calle Crisologo. This property is located a short distance from attractions such as Bantay Bell Tower. The property features a 24-hour front desk. Located in Vigan, Hotel Luna Annex features free WiFi.. All rooms are equipped with a flat-screen TV with cable channels. At the hotel, all rooms come with a desk. The private bathroom is equipped with free toiletries. All rooms feature a wardrobe. West Loch Park Hotel offers comfortable accommodation with free WiFi access in the entire property. It also offers an outdoor pool and beautifully landscaped gardens. Fitted with sound proofed walls, air-conditioned rooms come with tiled flooring, a flat-screen cable TV, electric kettle and en suite bathroom. Finally, once you visit Vigan, you will have plenty of options to visit, explore, discover and with many more things to do in Vigan Philippines. All you have to do is to choose the activities you prefer and start enjoying what Vigan has to offer. And that’s it for now! Let me know if you have any questions and let me know if you go too. 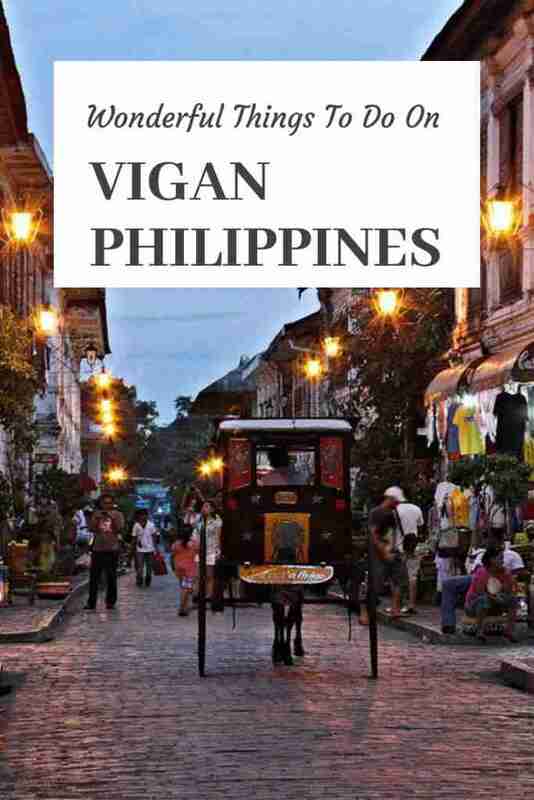 I’d love to know if this guide on the things to do in Vigan has helped you.